All dreams speak a universal language and come in the service of health and wholeness. There is no such thing as a “bad dream” — only dreams that sometimes take a dramatically negative form in order to grab our attention. 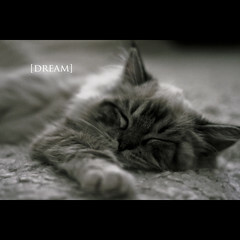 Only the dreamer can say with any certainty what meanings his or her dream may have. This certainty usually comes in the form of a wordless “aha!” of recognition. This “aha” is a function of memory, and is the only reliable touchstone of dream work. There is no such thing as a dream with only one meaning. All dreams and dream images are “overdetermined,” and have multiple meanings and layers of significance. A year after reading Dreamwork, little did I know that I’d have the opportunity to take a quarter-long class with Jeremy Taylor at the Institute of Transpersonal Psychology. During my time at ITP, I have to say, hands down, it was one of my favorite classes. For 10 weeks, 3 hours at a time, I got the opportunity to put into practice the ‘hints’ that Jeremy Taylor offers in doing dream work. I got to see these tenets in action and let me tell you — it was marvelous. Sometimes, the class would split up into smaller groups and sometimes we would stay together as the full class. When we stayed together as a full class and worked with one person’s dream, it was quite remarkable some of the a-has that happened (not only for the dreamer, but for fellow classmates!) In fact, it wasn’t odd for classmates to gain deeper insights (than the dreamer) as a result of interpreting a fellow classmate’s dream. The best part about Taylor’s methods for interpreting dreams is that the interpreter can never be wrong (and simultaneously, never right). The person interpreting the dream (from hint #5) should always preface their comments with, “If it were my dream…” By doing this, the interpreter is taking ownership of their projecting onto the dream. And according to Taylor, projecting onto the dream is all we can do (as the non-dreamer). 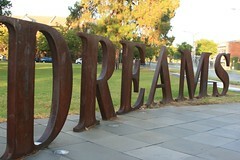 When the dreamer tells the dream, as we (the group) listen to the dream, all that we can do is project onto the dream. Referring back to (hint #2), only the dreamer can be sure of what their dreams mean or don’t mean (for them). So, when someone says, ‘if it were my dream…’ anything they say (so long as it stays in their first-person), is true, for them. However, the dreamer may not accept their projections (or resonate with their projections). Speaking in this way may seem weird at first, but trust me, it really helps — especially if the dream is sensitive. While I’ve introduced this post and Taylor’s work specifically as it relates to dreams, these 6 hints are useful in other ways. For instance, if one were trying to broker peace within some sort of group conflict, the whole “if it were my dream…” could come in handy (if we switch out dream for a more accurate description of what’s happening). The next time someone asks you to interpret their dream, I really encourage you to use the Taylor’s method, especially the whole idea of, “if it were my dream…” I think that in using this qualifier to begin our interpretation, not only are we being more polite to the dreamer, we’re actually giving a more accurate description of our interpretation (as, of course, our interpretation can only be a projection). After I finished writing this post, I found a recent (as of May 2011) video of Jeremy Taylor talking about his dream work. He is talking about his dream work in the context of a course offering at Wisdom University (Note: this university is not currently [as of May 2011] accredited by ‘any regional accrediting agencies recognized by the US Department of Education nor by any other national governments’), so it’s semi-promotional, but for the most part, he elaborates on the six hints for dream work that I’ve included above. If any of what I’ve said about Taylor’s dream work in this post has interested you, I really encourage you to watch Taylor talk about it. He is very articulate! This entry was posted in Health, Philosophy, Psychology and tagged Dreams. Bookmark the permalink.